You may be dealing with different types of conditions depending on the location of your heel pain. Heel pain on the bottom of your heel may be plantar fasciitis (inflammation of the tendon that connects your heel to your toes) or a heel spur which is commonly associated with plantar fasciitis. Heel pain at the back of your foot may indicate achilles tendonitis. Spending large amounts of time on your feet exercising or at a job can also cause heel pain. 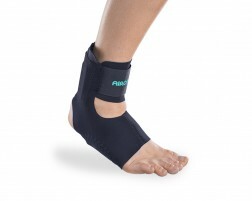 Our experts recommend the following products for alleviate heel pain related to plantar fasciitis, sore heels and feet, as well as braces for treating achilles tendonitis and general heel pain. If you need additional help choosing a brace or support for heel pain, use our guided tool, Brace Advisor for recommendations.